With the women’s equestrians regular season coming to an end, 12 of their 28 riders have successfully qualified for the zone championships at the Bergen County Equestrian Center in Leonia, N.J. on April 8. 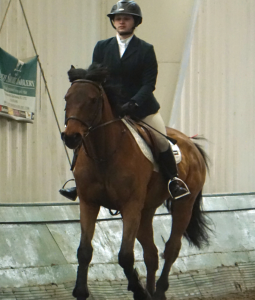 The team finished its regular season on March 18 in Selden, N.Y. at the Olde Towne Equestrian Center. The equestrians finished in first place in the regional standings. The women’s equestrian team has had a long year. Their first show dates back to Oct. 1. Fast forward to late March, how does all of the training and riding affect the teammates? “A lot of us have lower back pain because we have to arch our backs and force our shoulders back,” Katie Galvin, a sophomore nursing major said. Since equestrian is a fall and spring sport, the team has to make sure that they continue to ride and train throughout the year. One of the exercises that they do is yoga or pilates. “Individually, a lot of us workout everyday on our own, but we only have two mandatory workouts. I do a lot of yoga, but our team workouts include cardio, strength and yoga,” Galvin said. The team has its own training facility at the stables on campus. The stables house approximately 27 horses, which includes both the equestrian team horses and privately owned horses. 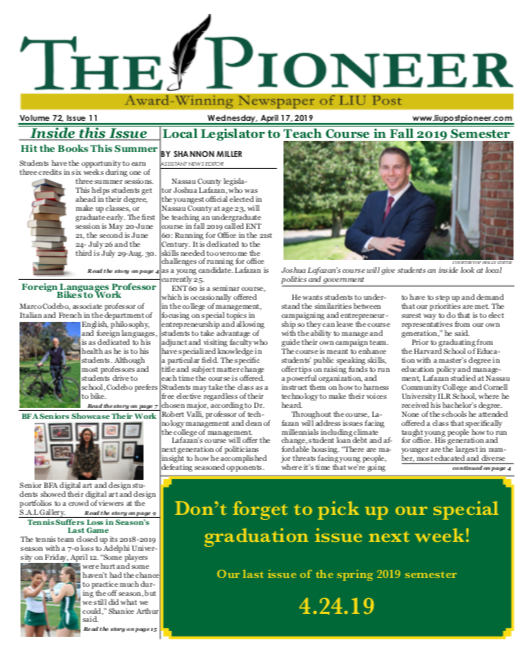 The Pioneers’ next show will be their last for the year, on Sunday, April 8 in Leonia, N.J. at the zone championships.